Tesco, Waitrose and parcel company InPost are set to launch click and collect facilities across the London Underground network as Transport for London (TfL) looks to “meet the wider needs” of its customers. After a successful trial in London Underground station carparks with Asda Grocery Click and Collect services, TfL on Wednesday announced it would begin a partnership with Tesco, Waitrose and InPost, and is involved in discussions with Asda to expand the service originally on trial. The launch will mean thousands of customers will be able to place orders online, which they can then pick up from stations or station car parks on their way home. TfL said that subject to final testing at locations, it plans to install the service at six stations for both Tesco and Waitrose, with InPost lockers set to arrive at 3 stations. “Over 11 million journeys take place on our public transport network each day and there is a fantastic opportunity for us to work with commercial partners to deliver products and services that our customers want, and as a result also grow revenues that we then reinvest in improving the transport network,” Mike Brown MVO, managing director of London Underground said on Wednesday. 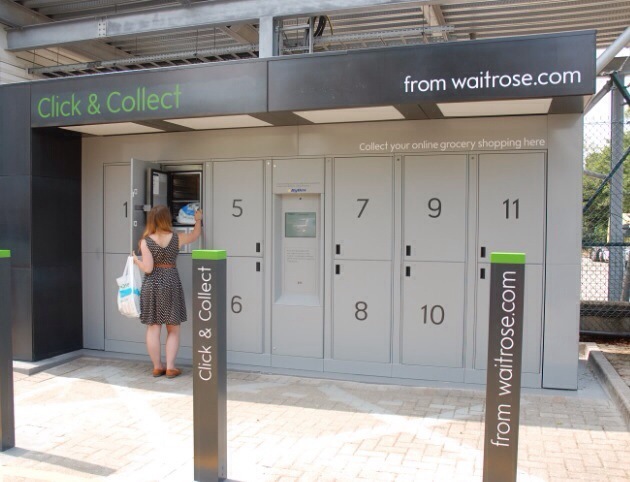 “Giving our customers as many ways as possible to buy and collect their groceries on the move is key to building on the phenomenal growth seen at Waitrose.com. Posted on January 30, 2014, in #retail, #uk. Bookmark the permalink. Leave a comment.